Last week BitPay launched a support platform for the Bitcoin Payment Protocol, working to make Bitcoin payments easier than ever for merchants and users. The payment protocol eliminates much of the human error in completing a bitcoin payment, while providing a streamlined approach to the transaction process. The payment protocol also offers confidence to users that they are sending their payment to the intended recipient, which is made possible by optional SSL signatures (X.509 signatures) on payment requests. Because BitPay signs all payment requests, when using a wallet supported by the payment protocol (Bitcoin-QT and Android Bitcoin Wallet) the user will notice that BitPay is requesting payment for the transaction. Through the Payment Protocol the wallet supplies a refund address in addition to the payment, eliminating the potential of error in refund situations. Native Address Refund Support is a streamlined approach to refunds that works on the block chain, with any wallet software and doesn’t require the buyer to have a BitPay account. This ensures the accuracy of every bitcoin transaction and increases reliability between the buyer and the merchant. BitPay has also improved the usability of QR Codes for Bitcoin payments through the use of BIP-73. This user-friendly QR Code utilizes BIP-73 to reduce the information required for payment requests and reduce the density of each code. According to a recent article, less dense QR Codes are easier to use in low-light or from long distances. These lower density codes are normal HTTP URLs, offering an opportunity to provide additional information and instructions to users who don’t already have a wallet installed on their device. Another exciting aspect of the payment protocol is the elimination of the use of the mesh network to communicate a payment from sender to recipient. 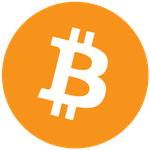 The Bitcoin mesh network serves two main purposes - communicating payments from sender to recipient and communicating payments from originators to miners. The payment protocol directly communicates payments from sender to recipient, which allows the mesh network to continually communicate transactions between originators and miners. This means that the network can broadcast and ignore transactions without effecting interaction between the sender and recipient. According to a BitPay spokesperson, “Direct Payment Communication allows for the emergence of a true market in transaction fees.” The payment protocol helps improve Bitcoin’s scalability by utilizing the mesh network to focus on those transactions that are profitable for miners, reducing the load on the mesh network. BitPay’s Payment Protocol Support provides merchants and users with a streamlined approach to completing Bitcoin payments. These solutions will allow the Bitcoin community to continue its growth and rapid adoption, while providing a reliable platform that gives payment protocol support - making payments to merchants easier than before.